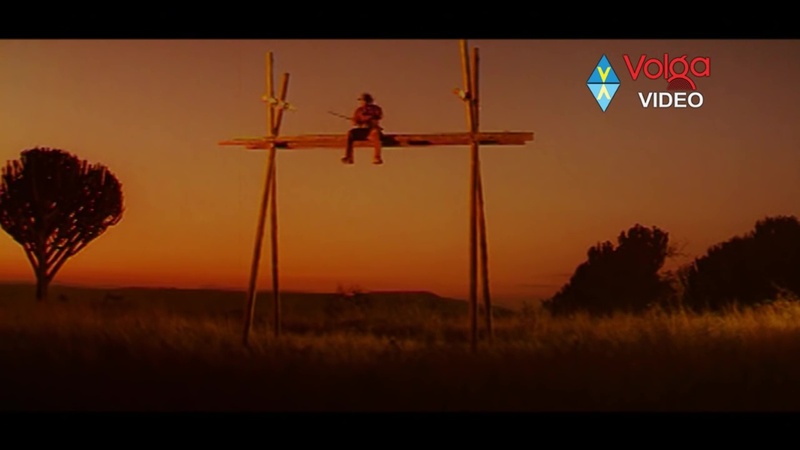 Gunasekhar’s film is a remake of the Ghost and the Darkness – but with Mega Heroics instead of Val Kilmer grimacing. Having seen both (not very good) films, this is actually my pick of the bunch. 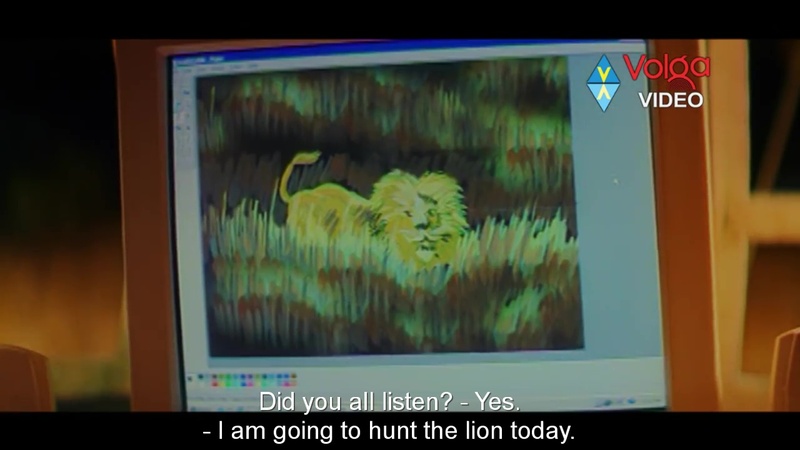 It makes no sense, the sound team may have been drunk, and everyone forgets about the lion far more than they should. But Simran and Chiranjeevi are good, the songs are fun, and it just never lets anything (particularly geography) get in the way. Aishwarya (Simran) volunteers to take over a bridge building project that has come to a standstill following a number of lion attacks. 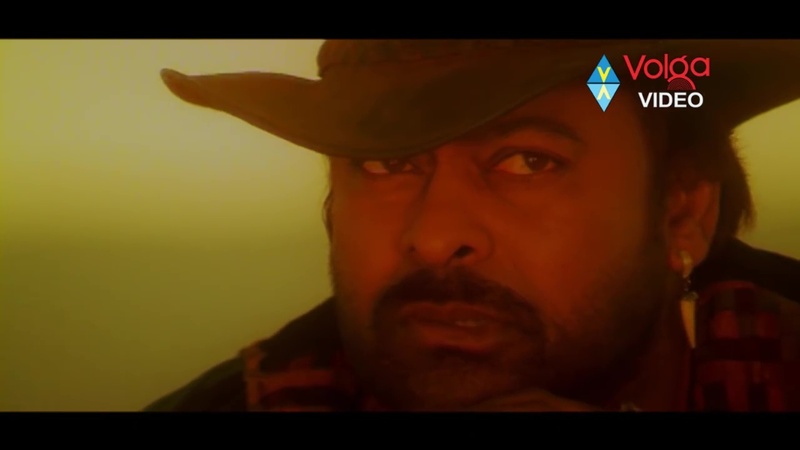 Raju (Chiranjeevi) is the legendary forest guide and sharpshooter hired to keep the workers safe. Eventually we find out that Raju and Aishwarya had been married and that sparks a long lion-free flashback to explain their back story. Aishwarya thinks he deserted her knowing she was knocked up and he can’t believe he has a kid (in a happy way). So he sings a sad little song that has the effect of luring his daughter out into the night and towards almost certain death. Will they get back together? Will the lion kill again? Will anyone ever finish that bridge? I liked that Aishwarya started out as a practical professional woman. Her character is on the receiving end of a lot of unfortunate comedy uncle buffoonery and sexist remarks from Raju. Simran plays Aishwarya as pleasant but firm, and she wasn’t afraid of confrontation. She realised her fiancé Vicky was an arse and at her own engagement ceremony, strode down the aisle and asked Raju to marry her. Good move! But because you can’t have The Heroine on an equal footing with The Hero, many of her skills failed to manifest at crucial times. And her lion catching plan is in MS Paint. I don’t think anyone on the crew consulted an engineer about what good construction looked like (surely half the crew WERE engineers?). I’m not sure about Aishwarya wearing beaded chiffon sarees around camp either, but each to their own. She has nice chemistry with Chiranjeevi and does her best with the stupid screenplay. Raju is a fairly straightforward good guy character but Chiru’s acting chops drew out the emotional tension in some of his scenes with Simran. Of course he could beat up packs of drug dealers with one hand behind his back, poachers better beware, and he always knows best. But for a renowned hunter he was frankly hopeless. They come up with a plan to have Rajanna up on a platform, with a baboon tied to a tree nearby as bait. Aishwarya startled an eagle which knocked Raju to the ground, just as the lion shows up. I really wish they’d watched a proper wildlife doco or two. He was too chatty and smoked incessantly so ensured the lions knew exactly where he was, he dropped his gun ALL THE TIME (a strap? Did anyone think of a strap? ), seemed constantly surprised by animal behaviour, and his clever plans resulted in several unnecessary deaths. He apparently had a no-kill policy which is laudable, but then he wore so many animal teeth I had to wonder. 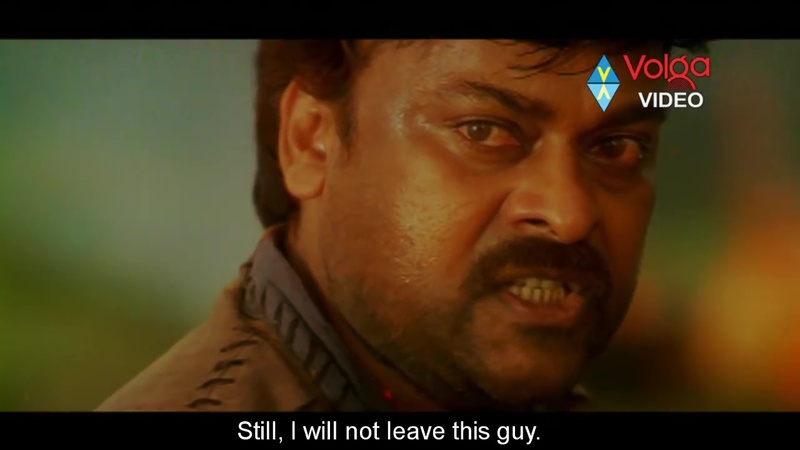 The action scenes range from standard fights to more complex stunts and Chiru throws himself into it all with vim and vigour (and a bit of overacting). 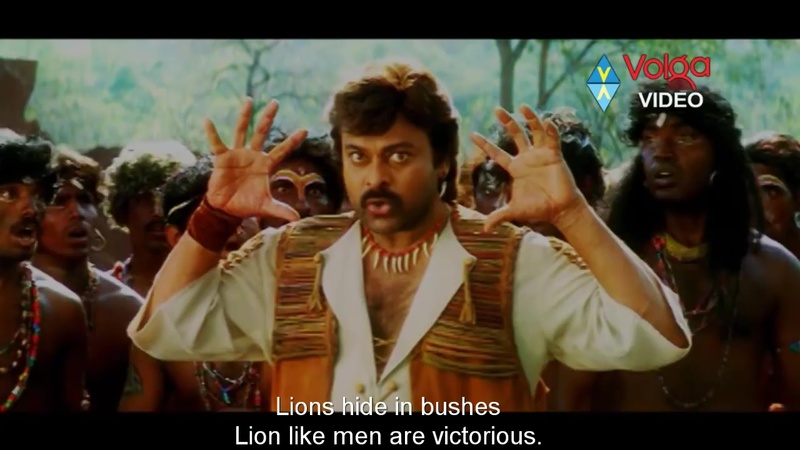 Chiru really shines in the songs, which is hardly a surprise, and they are highlights of this inconsistent adaptation. It was odd but not unpleasant hearing Udit Narayan sing for him in Aley Ley Aley Ley as I tend to associate his voice with SRK. And yes, Chiru provided the vocals for Chai Chai in a spirited Sprechgesang. Nagendra Babu is a tribal man supervising the villagers work. He and Raju have a lion claw type gesture in place of a bro fist. At one moment that was supposed to be emotional I was shouting “He’s gonna do the hands” and he did and I laughed and then I felt bad but hey…It’s like lots of things in this film, under thought and over used. But I always like seeing Naga Babu as a good guy sidekick. I just wish he didn’t have to die so often. Prakash Raj and Kovai Sarala are Raju’s befeathered parents. They love their boy and have faith in their tribe’s way of life. And they ham it up at every opportunity. Anyone who can overact when their character is dead really needs to take look at themselves. But they’re not alone. Brahmi is a Hindi speaking doofus who adds nothing. MS Narayana dressed up as a bear to scare Aishwarya, only to have a real (man in a suit) bear drag him away with, er, romantic intent…Jeez. I understand the traditional requirement of a comedy track but it doesn’t sit well against what could have been a suspenseful action oriented story. The lions were very diverting. Due to shonky CGI and changing perspectives they sometimes appeared to be hippo sized, then sometimes like a small terrier. Seeing what looked like a tiny lion speeding by with galloping pony sound effects – hilarious. I also liked the lion strolling along a log made to look like it was climbing a tree. Very 1960’s Batman. There were some stuffed lions too. 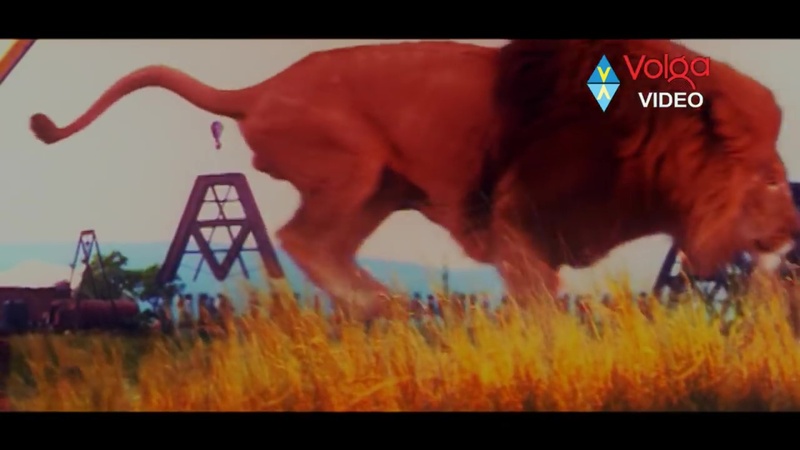 I think I paid more attention to the lions than most people in the film. Aishwarya spends a lot of time wandering around the long grass looking picturesque and edible, and Raju spends more time singing motivational songs than actually being on task. I was also reunited with an old friend – the jungle bunny. 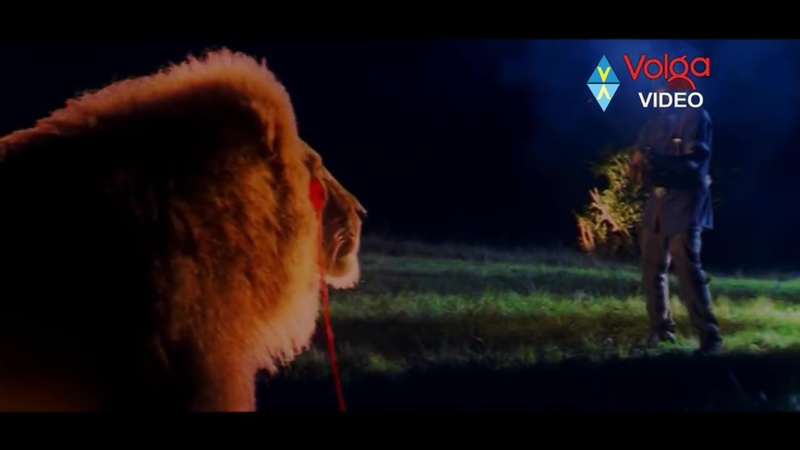 Aishwarya nearly shoots a fluffy white rabbit thinking it is a lion, but it fakes death until revived by Chiru breathing on it. And then in what may be an act of rabbit revenge, local glamour girl Sivangi (Sanghavi) chases a fluffy white bunny that leads her into the lions’ den; a cave filled with skulls and bones. I reckon either the rabbits are in cahoots with the lions or they are the real evil masterminds. Mruga Raju is not a very good film, Gunasehar lacked focus and the execution is clumsy. But Chiru is very appealing (once Raju eases off the sexist BS), and Simran is a good partner. It plays a lot better with judicious use of the FF button, but the songs are worth a watch. 3 stars! This entry was posted in Tollywood and tagged Chiranjeevi, Chiru, Gunasekhar, Happy Birthday Chiranjeevi, Kovai Sarala, megabirthday 2017, Nagendra Babu, Prakash Raj, Simran, Telugu. Bookmark the permalink. We were in fourth grade on a school picnic to this Rajasthan themed resort where the tea song was being shot. Big reason I was excited to watch the movie was hoping to catch a glimpse of tiny me among the crowd! LOL! Eagerly waiting for your review on ‘Arjun Reddy’ hope it’s released in Australia….